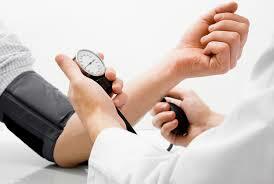 Hypertension or High blood pressure is a chronic medical condition. It is generally generated when the blood is forcefully pumped through the arteries at the elevated level of pressure. Hypertension is declared when systolic blood pressure is measured more than 140mmHg and diastolic blood pressure is more than 90mmHg. Records of surveys reveal that Hypertension is majorly prevalent among the people who come between 35 – 60years of age. In some percentage, it could be found in the teenagers and even the children. Hypertension if not managed properly in time, it could lead to cardiovascular diseases. There are 2 types of Hypertension-Primary hyper tension and Secondary Hyper tension. Primary hypertension – this type of hypertension develops slowly over the years, and in most of the cases, the causes remain unknown. Secondary hypertension – The secondary Hyper tension appears suddenly and the causes of this type of hyper tension can be apparently diagnosed. The causes that are listed below can be responsible for the secondary Hypertension. Morning headache, blurred vision, dyspnoea (breathing difficulties) and elevated values of certain components in the blood, like urea and serum creatinine. Hypertension is considered to be the leading cause of cardiovascular mortality. It can create cardiovascular diseases. Symptoms of hypertension: In the normal or primary condition, Hypertension may go unnoticed. It means, in the primary most the persons are unaware of it, however when hypertension causes more complications like sleeplessness, coma, head ache, confusion or virtual disturbance, blurred vision, dyspnoea, fatigue, tachycardia (rapid heart rate) dizziness, palpitations, and nosebleeds. Hypertension also becomes the causes arterial aneurysm or renal disease, stroke, heart failure, etc. Hypertension elevates the level of certain components in patient’s blood, like urea and serum creatinine, etc. The tension is increased in the blood vessel walls. Blood volume is increased by elevated levels of salt and lipids in the blood and hold back water. Blood vessels become hardened and inelastic by arteriosclerosis. As the causes of the Hypertensions are different that is why multiple drugs are used to treat Hypertension. The medicines give relax to brain and heart and control the blood pressure to right level- less than 140/90mmHg. Calcium channel blockers: This reduces tension in arteries by expanding them and thus creates more blood flow. This also relaxes the heart muscles to beat slowly. ACE inhibitors: This stops the production of hormone (angiotensin 11) that makes the blood vessels narrow while improving the blood flow. Diuretics – this help the body to get rid of excess salt and fluids via the kidneys. They normally relax blood vessels and reduce the strain on the circulation. Beta blockers – this block the effect of the hormone adrenaline and the sympathetic nervous system on the body. It relaxes the heart so that it can beat slowly. The foods which have the anti hypertension ingredients like potassium, magnesium, calcium, vitamin C and fatty acids from marine sources.